"Close, yet calm & cosy." 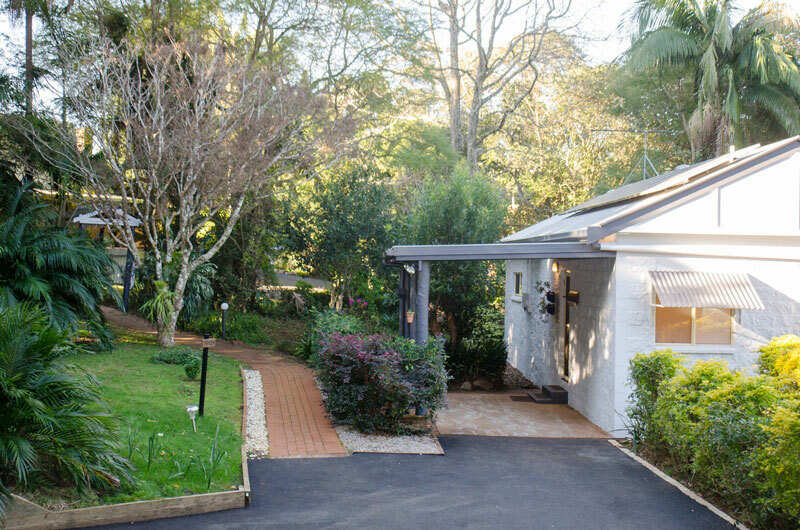 Breathe in… and escape to Tamborine Mountain and relax in the tranquillity of the Kidd Street Cottages. 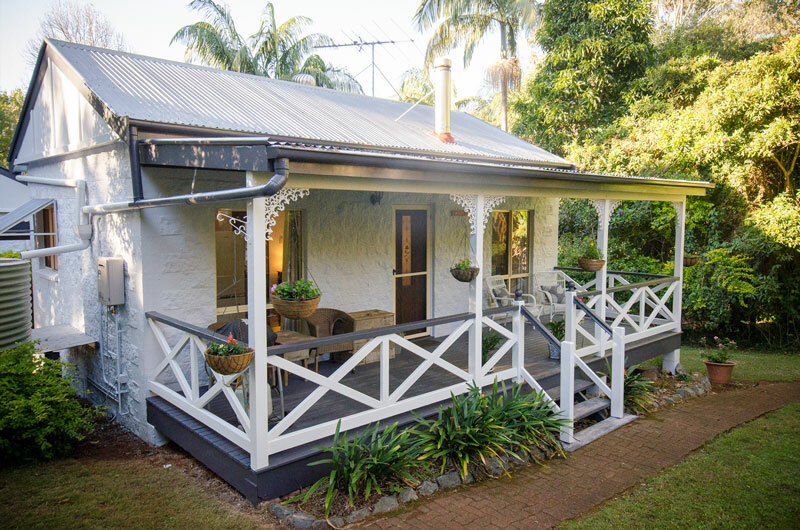 Boutique self catering cottages located in the vibrant restaurant precinct of North Tamborine. 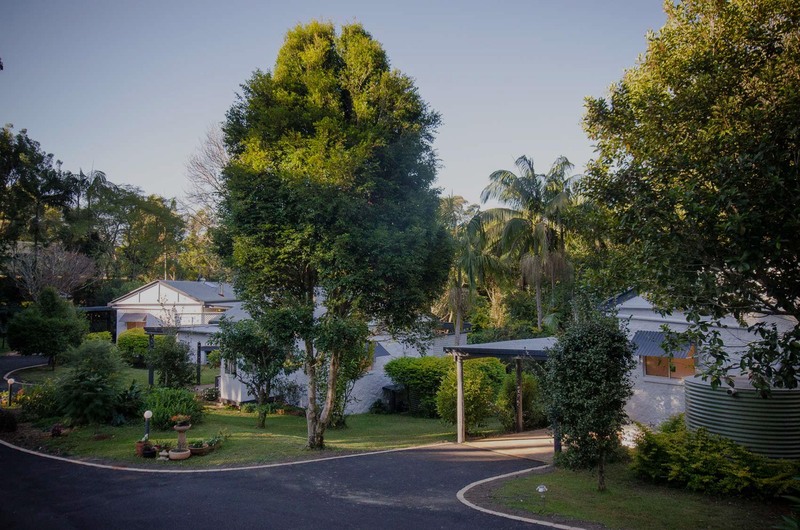 If you are looking to plan your next vacation or holiday, check out our individual, spacious cottages, exceptional local dining and a variety of unforgettable experiences on Tamborine Mountain. 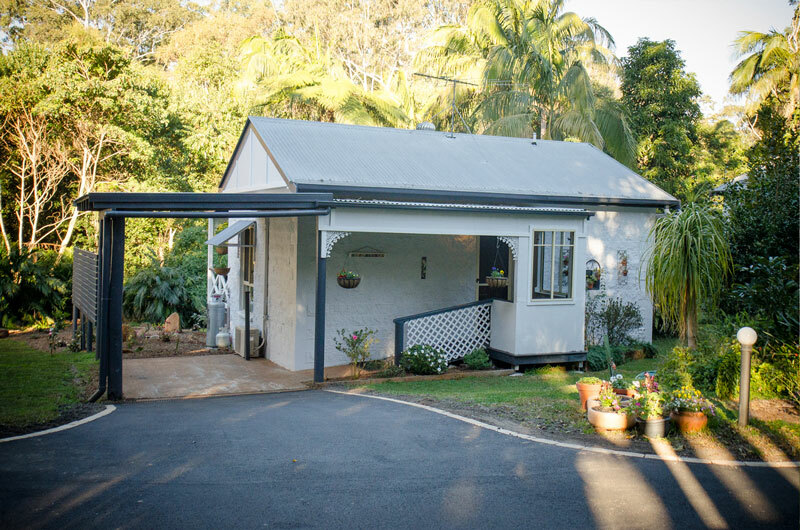 Kidd Street Cottages are perfect if you are looking for a stress free break in the Hinterland of South East Queensland. 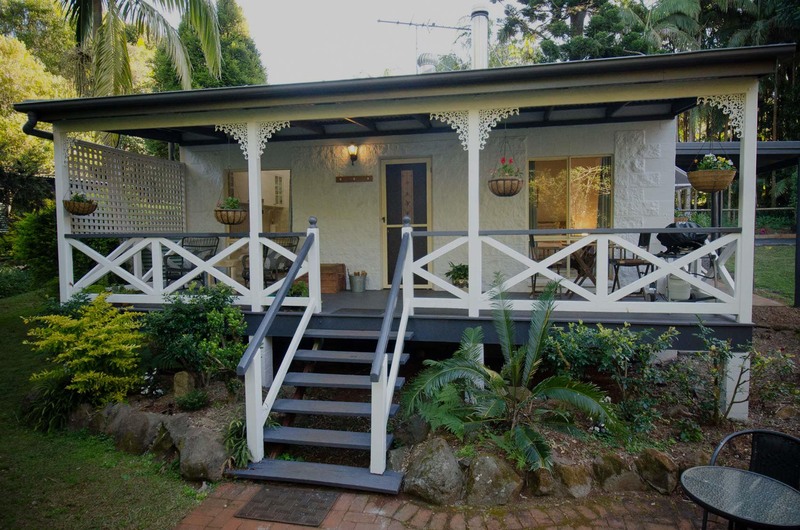 A short stroll to the wonderful restaurants, cafes and shops of North Tamborine, just the thing for a romantic dinner or wonderful breakfast all within a few minute’s walk from the cottages. Take in the pure clean air with numerous nature walks close by or visit the wineries, distillery or craft brewers. "Lovely retreat in the heart of town"
I can’t sing the praises of Kidd Street Cottages highly enough. They are full of charm and character (which the new renovations highlight) with absolutely everything you could need in a private rainforest setting. The crackling fire on a cold winters night heated the whole place without need of the air con, the kitchenette was perfect for making a morning cuppa (complete with cute teapot) to drink over a slow start to the day relaxing on the deck, the giant king sized bed is one of the most comfortable I’ve slept in and the bathroom is complete with heated towel rail. Not a single creature comfort has been overlooked, and the character of these cottages has been retained and respected. 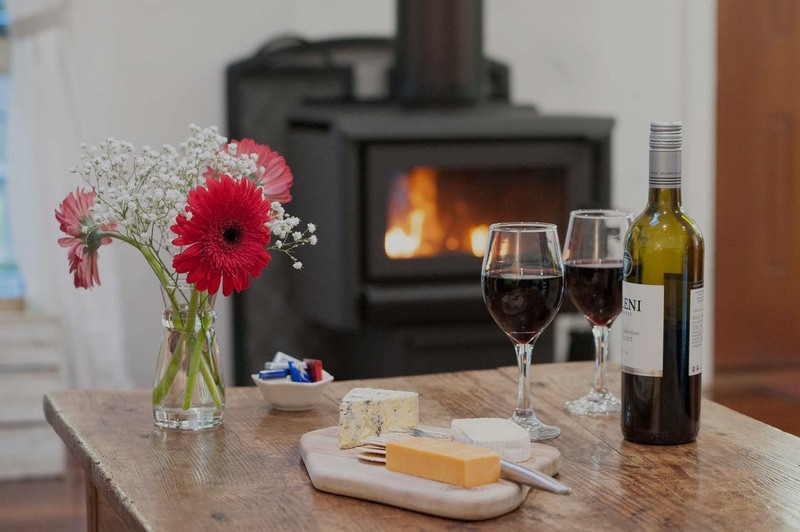 Val & Ian accommodated us at short notice after the place we’d booked an hour away was so disappointing we decided not to stay – so it’s fair to say I have high standards – and Kidd Street Cottages did not disappoint in any way. Lovely people who run a lovely cottage getaway. Spent a fabulous four nights, on arrival there was flowers, chocolates and wine on the table, a hearty breakfast of bacon eggs and fresh bread, pod coffee was a treat with Tim Tams. Felt very spoilt. So much care has gone into these cottages and grounds. Very homely. Looking forward to our next visit. The cottage was cosy, with a wood burner, which helped to make it feel even cosier not to mention warmer on the cold winter night. It was just a 5 minute stroll to all that North Tamborine has to offer, in terms of restaurants, cafes, bars etc. Stayed 2 nights in the Blue Wren cottage. It’s a lovely private cottage with top class fit-out only 100m from Main St. shops and restaurants. Our hosts Val and Ian were most welcoming and genuinely interested in making sure our stay was a pleasant one. They have done a great job in re-invigorating the cottages since their arrival less than a year ago. Will definitely recommend Kidd St Cottages to my friends. Check in at 2.00 pm – Check out at 10.00 am.